Southern China is rich in precipitation. The power of water has carved and shaped the rocks into beautiful karst formations. 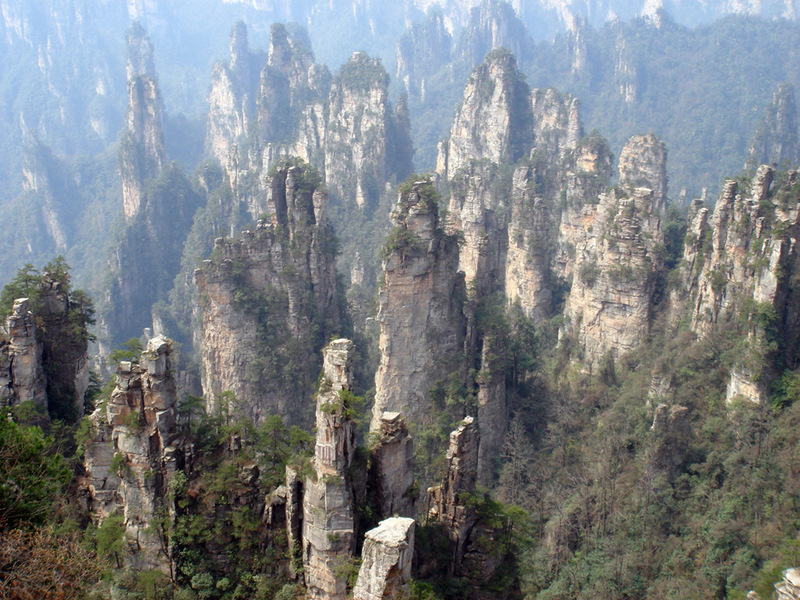 Here I list the top 5 most beautiful karst “peak forest” scenic places in China. View all in google earth here. “Guilin mountains and rivers are the best in the world”. I guess every Chinese knows it. It is also one of the top 10 attractions in China. Its mountains, caves, rock carving, rivers, lakes, culture, folktales, history legends and stories, all contribute to the unique tourism resource of Guilin. Known as the Chinese version “The Lost World”, Wulingyuan has well-preserved ancient ecosystem, 3100 tall quartzite sandstone pillars (40-800 meters high), 800+ creeks, and numerous caves and waterfalls. Wanfenglin karst probably has the most dense and unified peaks. These cone peaks have similar well shaped size, stand close to each other, and cover hundreds of kilometers along the border of Yunnan, Guangxi, and Guizhou Provinces. Unlike most karsts are formed by soft limestone, Sanqing mountain karst is formed by hard granite. It is also one of the top sites for Taoist. 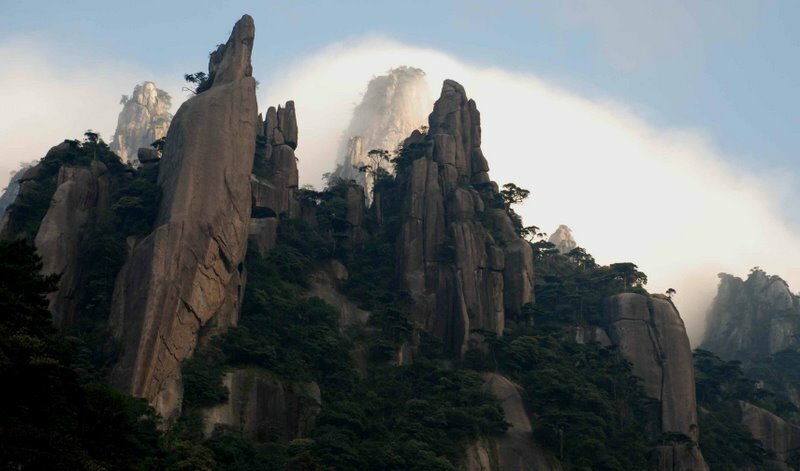 As “the open museum of Taoism”, Sanqing mountain is enlisted as UNESCO world heritage. Luoping karst is more than rock and water. Its beauty originates from the golden blossom of vast canola field. Every February, thousands acres of canola bloom surrounding the karst peaks. It attracts lots of photographers.